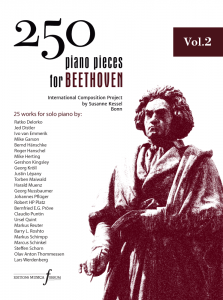 “The “Sechs kleine Bagatelle im Namen Beethoven” were written for “250 piano pieces for Beethoven”, under the commission of the excellent pianist Susanne Kessel. All six bagatelle, make mention in the titles, among the most important piano works of mature Beethoven. 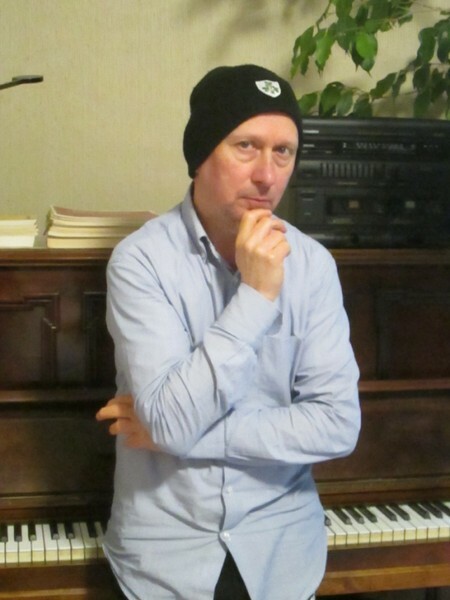 is a composer and musician. He studied piano and composition with Roland Kayn .He graduated in composition theory and electronic music. He invented a particular graphic notation, which is based on the theory of signals, drawing inspiration from disciplines such as astrophysics, bioacoustics, biology and nanotechnology. He taught courses and gave lectures on various aspects of the history of music in public and private cultural institutions, wrote articles and lectured on hermeneutics and the interpretation. His works have been played in Europe and the United States. His works have also been performed by renowned artists such as: Alexander Annegarn, Guido Arbonelli, Simone Mancuso. He’s a member of Asu digital repository (Arizona State University), MidAmerican Center for Contemporary Music, New Music and Art Festival. His works are available at the following institutions: • “Crunch” for Alto recorder at the Is Contemporary Block Flute Music Amsterdam-Musikladle Blockfloten Karlsruhe, Germany • “Traiettoria” for Bassoon at the Library of Congress/Naco (Washington)-University of Michigan-Bowling Green State University (Ohio); • “Sphère” for soprano saxophone at the Real Conservatorio Superior de Música “Victoria Eugenia” de Granada (Spain). Bibliothèque Conservatoire de Lausanne (Switzerland), Stichting Huygens Fokker Amsterdam (Netherlands), University of Louisville (USA), Conservatoire de musique de Genève (Switzerland), Internationales Musikinstitut Darmstadt (IMD) (Germany), Wesleyan University Library (Connecticut) (Usa), AOM (Montrèal).